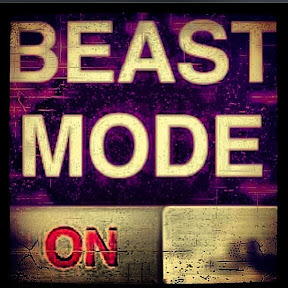 Today I have taken the intensity up! I upped the weight in Pump this morning, even though I almost overslept, I ran and rowed and then Steamed all before 8am. It was a highly productive morning. I really want to hit this goal and I have just decided to leave it all out there. I was off to the office after my workout and was hoping to get a lunch time workout. That didn't workout so well for me because I went to Wal-Mart to get a DVD player since mine is busted and I need to do some of my workout DVDs in the evening to burn some extra calories. I purchased a very cheap DVD player to live in my garage/gym workout area. I have set this up so I don't have to move all the furniture out of my living room. 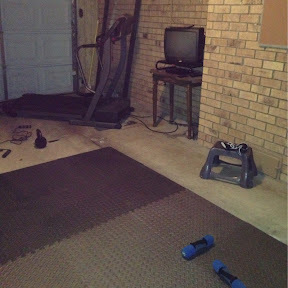 Its everything I need for a quality home workout to burn that last few calories before bed. 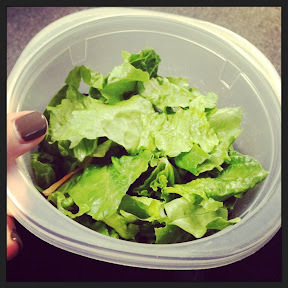 I got sidetracked...I took a trip to Wal-Mart for lunch and then ate what I packed....a salad! I hate all things lettuce but I need the veggies and and protein so I put together a grilled chicken salad with a Italian dressing dipper. After the 4 hour lunch, it took me a while to get it all down, it was time to head home. I hit the gym right after work. My calf was pretty sore after my morning workout so the planned treadmill intervals were not feeling so hot so I moved on to the recumbent Stair Master and really got my burn on! I was kinda surprised at how good the workout was on the seated StairMaster. Then home for a quick change, clothes in the washer and off to clean the office. I got the office done and back home to finish up the laundry and get one final workout. 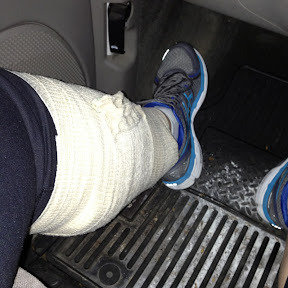 I did take the time to get a little ice on my sore calf, recover when you can right?!?! I was glad to be home and ready for some dinner. 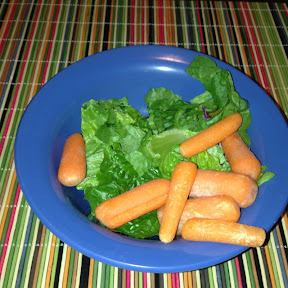 I was not ready for the salad that accompanied dinner. Grilled fish and salad! At least this salad had extra carrots, I like carrots. After dinner I was out to the garage for a Jillian Michaels 30 minute DVD. At that point I was ready for bed! I still had some winding down to do but I think I have finally wrapped up for the night. I was happy to get all my chores, workouts and work done before midnight, I was sure I was never going to get it all done today. Hopefully tomorrow will be a little quicker and I can get to bed earlier but so far Im on track. 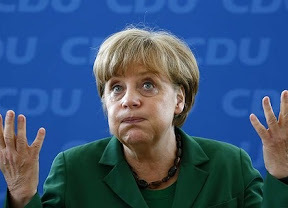 SCREW IT.....you can know my numbers. Its only fair if Im gonna talk about these magic numbers you should know them too! It not really embarrassing to tell my weight to strangers its the people I know that I will see when I pass at Wal-Mart that makes it weird. And really, do I think people are going to be shocked at my weight! Anyway, on April 1 I will be looking for 266lbs on the scale. 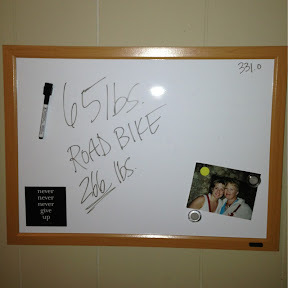 Thats my goal board, it tells me the goal, the start weight and the exact number I need to lose to get my Road Bike! So there it is, my goal is 266lbs in 6 days. I have hopes for 2 big workouts tomorrow, maybe a lunch time walk and an evening DVD. I have lots of fruits and veggies planned for tomorrow as well. I wish those veggies weren't in the form of salads but its just for a week and amazingly enough its better than it was the last time I tried it. You got this! Love you! your commitment is amazing!!!! i believe in you!